There's still time to participate in Color Challenge 55! Remember, you don't have to have the EXACT colors to play. Just use colors inspired by the ones you see below. This challenge features autumnal colors to inspire you — Kraft, Persimmon, Gumdrop Green, and Milk Chocolate. 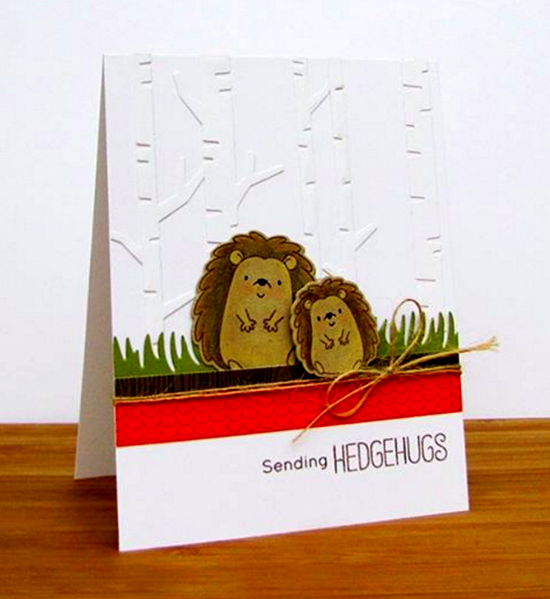 Karen Baker created a pretty textured tone-on-tone background with our Birch Trees Die-namics to showcase two cute hedgies from our Happy Hedgehogs stamp set. She found that our Trail Mix Paper Pack was a perfect match for Color Challenge 55. 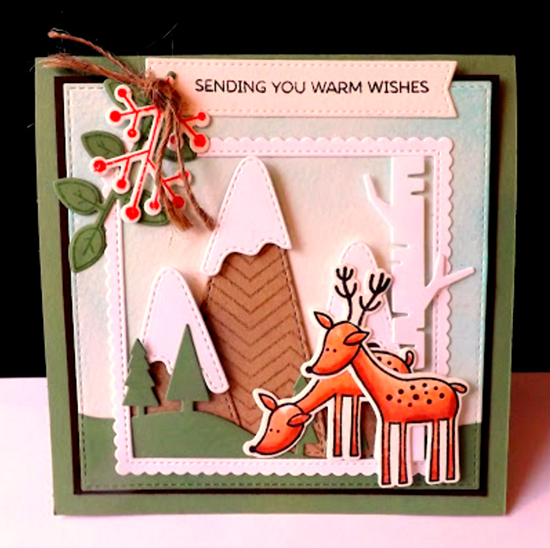 DJ Rants created lots of layers in this adorable scene featuring our Deer Friends stamp set and the Snow-Capped Mountains Die-namics. I love the tiny tinge of Persimmon she provided with the twine wrapped berries. Such a lovely design! Yay to being spotted!! These are both so fun- great inspiration!